Introduction: Match the hatch isn't just for fly fishermen anymore. Koppers is producing lures like no other hardbait company, focusing on products that have a life-like appearance and motion as they move through the water. 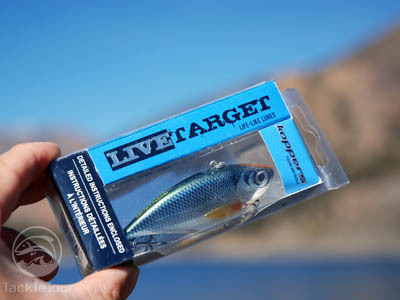 We take their LiveTarget Golden Shiner for a test run and see if this match the hatch ideal really works for Delta Bass. About Koppers: Before we get into the lure, let's learn a little more about this fairly new company. Grant Koppers is a seasoned professional sportfishing guide in the Niagara River Region. He founded Koppers Fishing in 2007 and has been developing unique, artificial lures that match the hatch ever since. Case in point? A quick survey through Koppers' product line, reveals not a single lure painted in more than a handful of color patterns. Instead, what you will find are lures offered in only a few sizes and patterns that resemble the actual baitfish at the right season. Impressions: I was first introduced to Koppers fishing lures a little over a year ago and at that time only saw photos of the baits. Even the photos really impressed me as the patterns and finishes appeared unbelievably realistic. Then, this year at ICAST I was finally able to get my hands on these lures for a close up inspection, and now of course, here we are with our first review of their product. The photos of the Koppers Golden Shiner are right on. 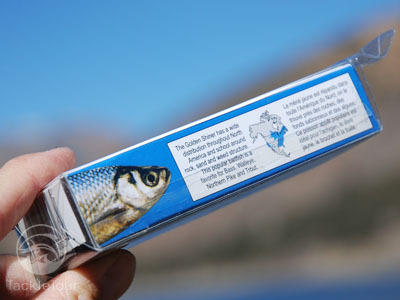 The finish is done with extreme care and includes the finest details as the company's goal is to replicate the real baitfish with their products, matching the hatch in not just color tones during different seasons but of actual size and swimming motion of the lure. 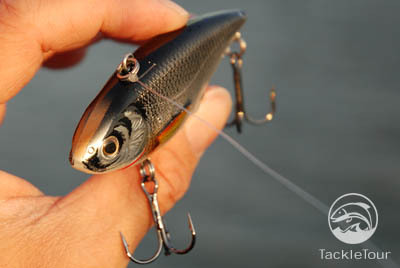 The Golden Shiner is a lipless crank that takes on a profile of a real Shiner. There are only two available, ultra-realistic patterns: Silver with Black back or Silver with Blue back. Koppers goes further by getting down to the nitty-gritty details. Around the head you'll notice how the actual patterns encompass the eyes. The black or blue back is finished with a gradual tone rather than what you might see in other lipless lures that are solid in color. The body also has scale-like patterns that are as real as it gets. And even the fins are exact replicas with the proper color and placement on the lipless crank. Words just can't describe everything about this lure so it's a good thing we include photographs to show just how impressive this Koppers Golden Shiner really is. Field Tests: The Golden Shiner, Notemigonus crysoleucas, can be found over most of Eastern North America from Nova Scotia down to Florida. It's a bit more rare in the Central region but is also thriving in the West, especially in Arizona and California. One of our favorite test waters, the California Delta, holds an abundance of this bait fish which makes testing this product for by both Bass and Stripers in actual "match the hatch" conditions on the Delta a no brainer. In other regions Bass, Stripers, Walleye, Trout, Northern Pike, and Muskie feed on the Golden Shiner. Each Target performs differently and is designed to offer a very specific action, speed, sound, diving depth, buoyancy, and water displacement. 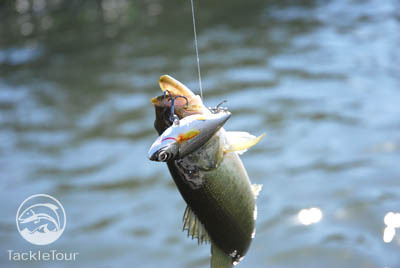 For an in-depth description of the four styles, please visit Koppersfishing.com. 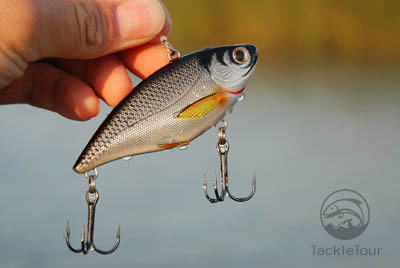 Casting: Being a lipless lure the Koppers Golden Shiner flies effortlessly to its targeted location. With the weight of 1/2 or 3/4 ounce many outfits will be able to fling this lure quite easily with distance and accuracy. My rig, which consisted of the Airrus Spectra AFT and Pflueger Patriarch spooled with 12 pound Trilene Fluorocarbon line, was able to cast the Golden Shiner far and accurately to tight spots in and around structure.